How Did Apple Computer Get Its Brand Name? One of the many sidebars to media coverage of the death of Steve Jobs in October 2011 was an old question: Where did the name Apple Computer come from? 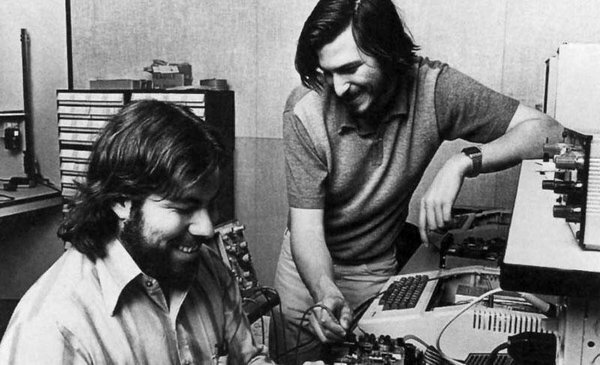 Jobs & Wozniak wanted their startup to be in front of Atari in the phone book. They wanted distance from the cold, complicated imagery created by other computer companies at the time – with names such as IBM, Digital Equipment and Cincom. It was a tribute to Apple Records, the music label of the Beatles. For solid answers, it’s always a good idea to go to the founders. His concerns turned out to be justified. Apple Computer, Inc. was sued by Apple Records over trademark violations in 1989. In a 2006 interview with an MIT newspaper, Wozniak was asked again about the rationale behind the Apple name. Wozniak confirmed that it was Job’s creation, and that he came up with the name after spending a few months working on an apple orchard. “After trying to think of better and more technical names, both Jobs and I realized that Apple was a good fit,” he told the newspaper. A book titled Apple Confidential 2.0: The Definitive History of the World’s Most Colorful Company says that both Wozniak and Jobs tried out alternate brand names such as Executex and Matrix Electronics, but they didn’t like anything as much as Apple Computer. To add to the legend, I have always understood that the reason the Apple logo has a bite out of it was as an homage to the late Alan Turing – the father of modern computing – who, when he was about to be outed for being gay, took his own life by reputedly injecting an apple with cyanide and taking a bite out of it.